When the Jews revolted against the Roman occupation in AD 66, among their generals wasJosephus (Yossef ben Mattityahu ha-Kohen), a nobleman and priest from Jerusalem who had been a favourite of Nero’s wife, Poppaea. Taken prisoner, he saved himself from crucifixion by prophesying that the Roman commander Vespasian would eventually become Emperor, after which he served as an intelligence officer with the Legions, running a network of spies inside Jerusalem - in the belief that the Jews’ sole hope of surival lay in surrender. "'Writing with the flare of a novelist, Seward not only brings Josephus to life, but also crafts a vivid picture of what caused the Jewish revolt of 66, the Roman response, and the ongoing conflict which was to influence Jewish history and culture for generations to follow ... Through Josephus, Seward has provided us with a window through which to view the events of this period and their long term consequence ... Popular history at its best. 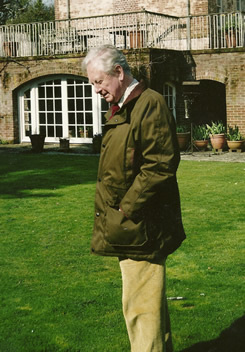 Seward tells a rousing tale, one that is well researched and insightful, yet without any of the pedantic word play that often turns readers away from history books.' "
"Seward tells the unvarnished truth ... This is first rate history, first rate biography. " " Seward’s astute interpretation and vivid re-creation is a popular history imperative." 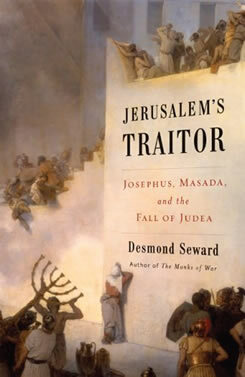 RJM Productions have optioned Desmond Seward’s Jerusalem’s Traitor: Josephus, Masada, and the Fall of Judaea .